Inflatable Bounce House Rentals in Miami Dade County have become a need in any party or event. 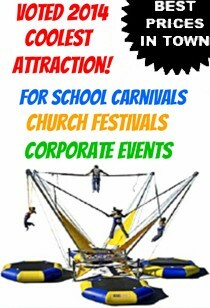 Nowadays you can get a bounce house with a licensed theme to match your event decor. Come on in a take a look at the next generation of 3D inflatable bounce house rentals in the Miami Area! Bounce House Rentals There are 7 products. 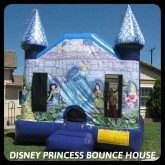 The Disney Princess Bounce House Rental in Miami Dade County is one of the most popular bouncers rented among daddy's little girl for princess themed parties! 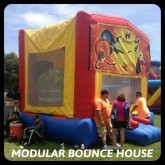 The Modular Bounce House rental is very versatile. Can be rented with or without a theme. 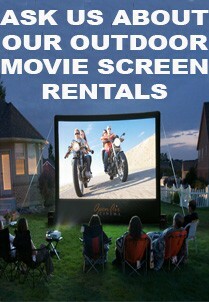 Its small enough to fit in a tight corner in your backyard, but big enough to accomodate a few kids at your event. Great for parents on a budget who need to entertain the kids for a few hours! 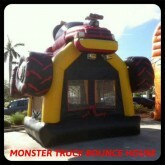 The 4x4 Monster Truck Bounce House is every boy's favorite inflatable bouncer! If your having a cars theme party or the little man of the house loves to play with cars or trucks, this would be the perfect bouncer to get him for his birthday! 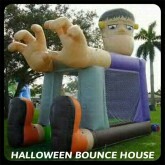 The Frankenstein Bounce House Rental in Miami is the #1 most requested inflatable bouncer rental during Halloween! 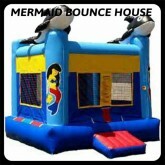 Our Sea World / Mermaid Bounce House rental features a mermaid and 2 whale inflatable images. Fun for any mermaid theme birthday party. Yeehaw! 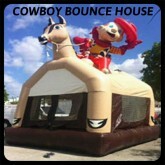 Come bounce with our cowboy "themed" Bounce House. A great inflatable for western themed parties or events! 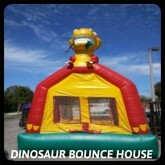 Our Dinosaur Bounce House is great for any animal or dinosaur themed party.